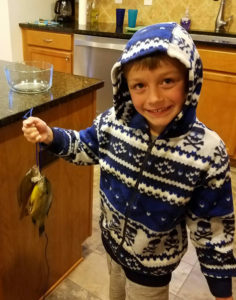 Braun Bender, the son of Brant and Leslie Bender, of Cedar Springs, is 7 years old and loves to spend time fishing with his grandfather, James Bender. 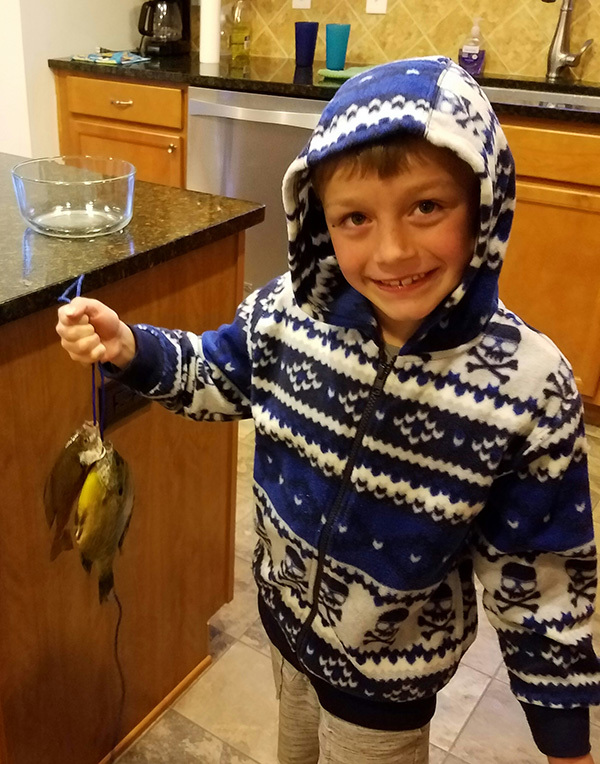 Thanks to the Cedar Springs Cub Scouts and a patient papa and father, Braun has learned the finer skills of fishing and has grown into quite the independent fisherman. Now to get him to actually enjoy eating his catch! Braun is shown here with his catch of the day, two bluegills. Congratulations, Braun, you made the Post Catch of the Week!